Run your samples without waiting - using a beautiful device that sits neatly on your bench. Designed from the ground up to fit in with you, the Liberty16’s footprint will fit with whatever space you have to work with, wherever you are. Low profile by design, it’s easy to reach over to access other parts of your workspace or to be put away in a drawer to maximize your flexibility. Away from a power outlet but still need to get work done? We have you covered with a state of the art internal rechargeable lithium ion battery offering 2-3 hours of cord free run time. Don’t want to lug around a laptop to do your runs? 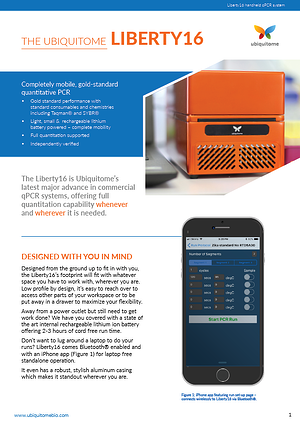 Liberty16 comes Bluetooth® enabled and with an iPhone app for laptop free standalone operation. It even has a robust, stylish aluminum casing which makes it standout wherever you are. iPhone app featuring run set-up page – connects wirelessly to Liberty16 via Bluetooth®. 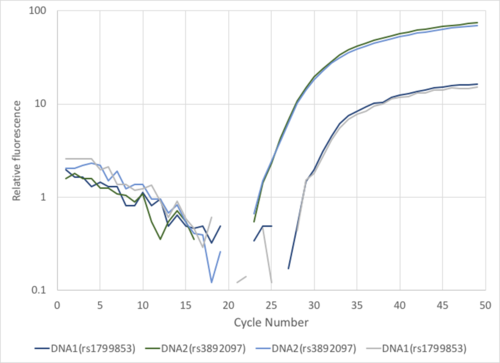 Figure 1: Liberty16 featuring two different Taqman assays in duplicate. Figure 2: Liberty16 reproducibility in triplicate with SYBR. Whether you love Taqman® (Figure 1) or SYBR® (Figure 2), as an open platform, the Liberty16 has you covered with gold standard performance whatever chemistry or test you prefer. Benchmarked to the best, you don’t sacrifice performance for convenience (Figure 4). 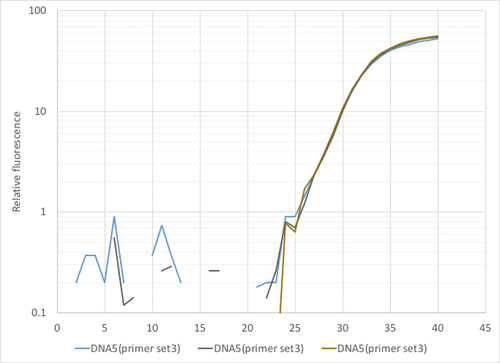 Liberty16 also uses the industry standard 8 strip PCR tube and cap format so you have one less variable to worry about in your qPCR experiments. 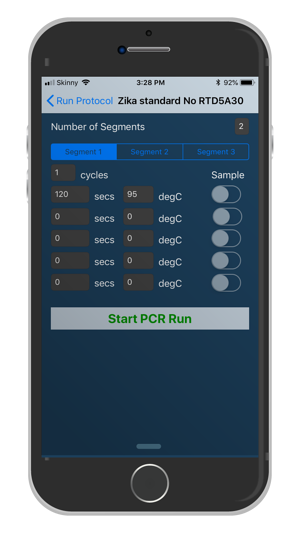 Mobile, real time PCR on your terms is here, without compromise.